As the climax of its centenary celebration ceremonies, Bugatti Automobiles S.A.S. 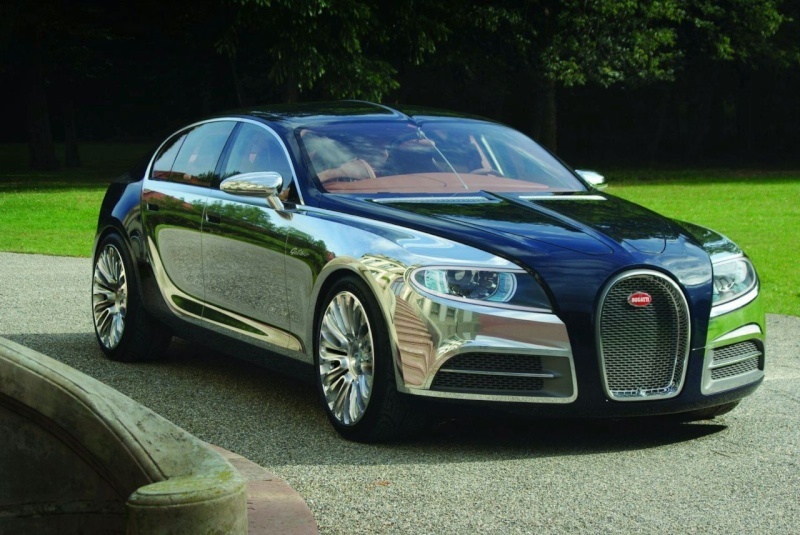 presented customers and opinion-makers with the Bugatti 16 C Galibier concept, intended to be the most exclusive, elegant, and powerful four door automobile in the world last weekend in Molsheim. At the historic site where Ettore Bugatti once laid the cornerstone of his company, Bugatti’s current president, Dr. Ing. Franz-Josef Paefgen emphasised that the Galibier is one of several concept studies with which the company is considering for the future of the Bugatti marque. The Galibier’s design masters the challenge of uniting sportiness with the comfort and elegance of a modern four-door saloon. The basic architecture picks up on the torpedo-like character of the Type 35,which was already revived in the Veyron, and reinterprets it. With the typical Bugatti radiator grille, big round LED headlights and the clamshell running the length of the vehicle which became synonymous with the brand identity under Jean Bugatti in the Type 57, this car transports the Bugatti genes into the modern world. “Galibier” is not just the name of one of the most difficult alpine passes along the Tour de France but, in its time, was a version of the four door Type 57 unequalled in sportiness and elegance. je suis désolé de découvrir que les articles sont en anglais et non dans notre belle langue française. Si l'on ne comprend pas tellement l'anglais comme certains, nous avons du mal à suivre le blog. Sinon belles photos, pas de fakes alors je te souhaite bonne continuation pour ton blog.